please insert new link pullingworld !!!!!!!!!!!!!! For the very first time the DTTO is sanctioning a pure Farm and Hot Farm event. The best Stock and Hot Farm pullers from the season will meet in Hildesheim (near Hannover) to hold their final championship pull. Time to catch up with some rumours! Before the season I already promised a couple of new hemi powered 2.5t mods for the 2009 season. By now the Intertechno stable has confirmed building a twin engine mod and the Heartbeat Team building an alike tractor is also not a well kept secret anymore. Then we have the Red Painter team from northern germany, about which there is rumours circulating telling about a new tractor, too. Then there is the unconfirmed rumour about the New Limit TWD team coming out with a multi engine Chevy tractor next season and another former multi V8 team coming back with multiple blown V8s. Further rumours tell about a new twin Griffon tractor for the 3.5t class from germany and a twin Griffon and a triple Chevy for the Danish championships. Down in south germany, Hans Schwaiger is working on a "little brother" for the Rowdy, a serious Pro Stock. That things are going well in Italy was just prooven last weekend, when the Turbo 2000 Team entered the tracks with the second triple Allison tractor from south of the Alps. Doesn't look like too bad of a 2009 season to me! I have uploaded a test video in 16:9 format. 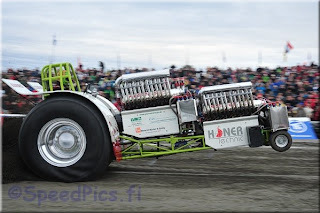 I will add another 35min video of the Bettborn Tractor Pull. Carsten has his Bettborn pics online! This is already a few days old, but got missed by most. "Good Morning America" at the tractor pull. 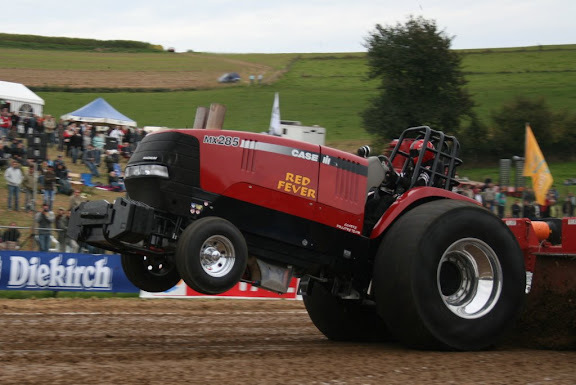 Used last night to upload even more videos to Pullingworld.com's Tractor Pulling Channel on veoh. There is now over 40 hours of pulling action on there. Here's the new Triple Allison modified 4,5t (3,5t with two engines) coming out for 2009 season. May do his maiden run on the last pull of the Italian championship on 21st of september. Now this makes for some VERY interesting reading! The NTPA invites fans and competitors to check www.NTPAPULL.com throughout the weekend for updates and complete results from the Enderle Pull-Off. An old Detroit Diesel powered modified built in the 1970s and an US built Compact Diesel tractor. End of season = BETTBORN time! On the 21st of September all the top guys will have their last showing for this year at Luxembourg at the Euro Cup Finals. The event is really worth going and always perfectly organized. The north german TV station has come up with an online voting list for the most spectacular events in northern germany. Tractor Pulling already made the top 40. The top 30 events will be covered on their TV station - and now the german pullers need your vote for some extra TV coverage. and scroll down, you will find a little thumbnail which says "Treckerpulling". Check the box, scroll down to the bottom and hit the "abstimmen" button! Here we go.. the first online gallery! The 2008 all open dutch championships in Norway are in the books! I have to go back to work early tomorrow - and 250 km from here. So I'd better hit the road! Have fun in the CHAT and see you folks around! How about an EC chat while waiting for the results? 2.5t EC - V8 power dethroned! The old warbird engines got it done! 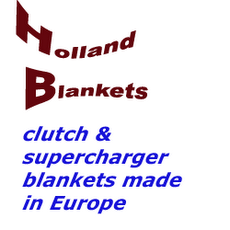 V12 victory in the light mod class at the 2008 European Championships! Mick's Performance has now tested their 550 lbs injectors at 130 psi and reached a throughput of 700 lbs of methanol per hour. This enables the KAM system to handle up to + - 700 hp per cylinder with one nozzle and operate up to 16 cylinders (theoretically over 10.000 hp) with one unit. For engines with more than 700 hp per cylinder, nozzles (of different sizes) can be combined. After having done Chevys and Allisons, Ryan Micke is currently working with the first line of blown Hemis. For further info contact Sascha at "pullingworld@gmail.com". I can by now also provide final prices after having taken over the European distribution of the systems of Mick's Performance. Finally some pulling pictures from Austria by Andi! 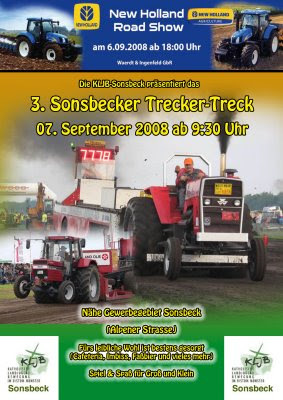 This upcoming weekend there is one of the bigger german brush pulls at Sonsbeck. The Team Sonsbeck is kinda new to the hot farm scene, but has made an impressive showing this year, as they imported a fleet of MF V8 pullers last winter (they now run 4 of those field locomotives) in addition to their European model MFs, which they already pulled previously. They have invited Pullers from the NL and Switzerland to their upcoming event, so it will be an international Farm Stock pull on german ground. On Saturday the 6th they have New Holland representing their current fleet of tractors there and as usual, a nice little get together at the bar with all the pullers. Sonsbeck is located near Wesel, just over the dutch border, still on the left side of the Rhine River. So for dutch fans who want to spend some time to check out how the Sport Klasse is developing outside of the NL, this is a close event to see some of the swiss and german pullers mixed with some dutch guys nearby.